SKU: MAA03. Categories: Tools & Equipment, Moving Equipment. Tags: 4 wheel dolly, carpeted dolly, flat dolly, moving dolly. These dollies come as a pair with one going on each end of an upright piano, straps then secure the piano to the dollies, the dollies will then raise up to move the piano to your desired location. This dolly can not be used to lift the piano in any way, it is strictly for rolling horizontally. 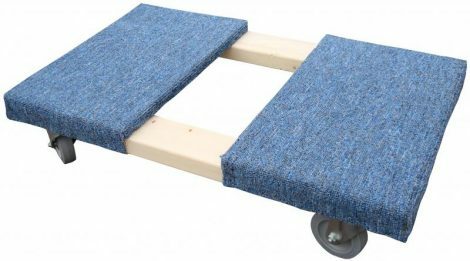 This convertible dolly can be used either horizontally or vertically and is meant for lighter loads like boxes or electronics, not appliances or large furniture. It has a 400 pound maximum capacity.